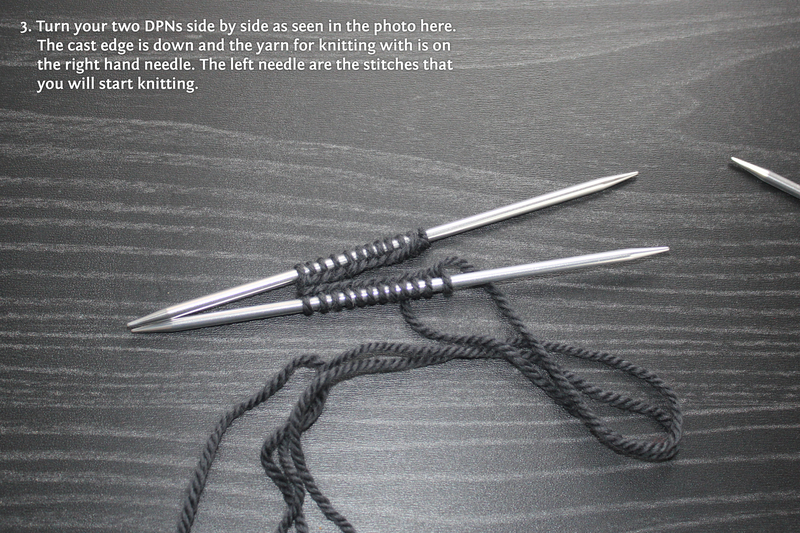 For years I never used double pointed needles or DPNs as most knitters call them. I didn’t even know they existed. 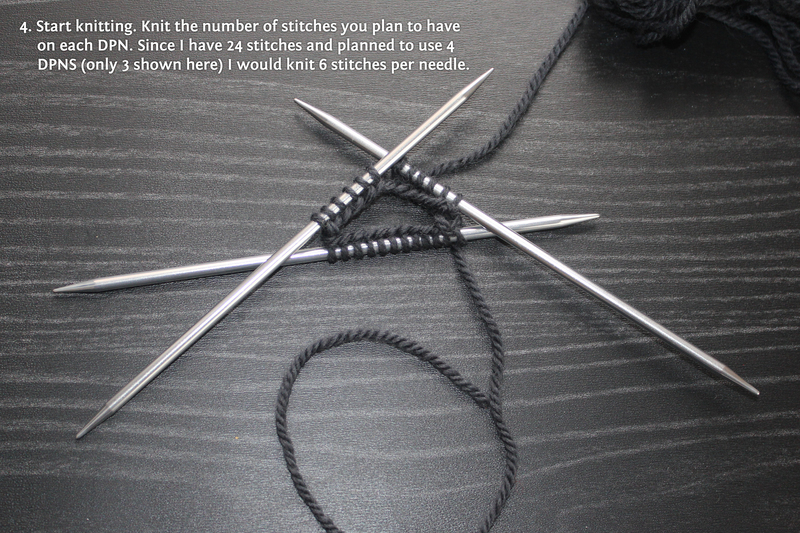 I can’t remember when I started using them or what I first knit with them but, once I did I used them as much as possible. The truth is I hate to sew seams. If I can knit something on circulars or DPNs I will do it every time. I love sweaters like a traditional ski sweater where the only sewing is a little bit under the arm. Admittedly DPNs have there problems. 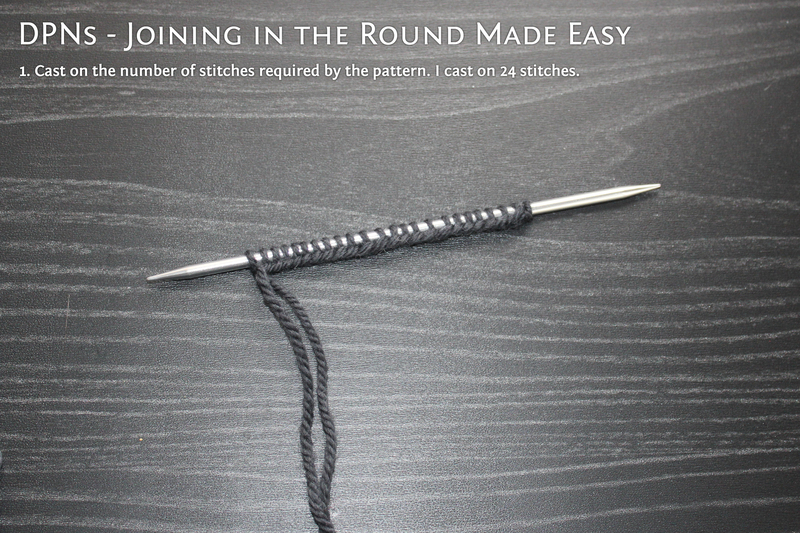 The first few rounds are awkward to knit and joining the first round can be tricky. And the worst is if you join the round incorrectly and it twists. If it twists you are screwed and will have to rip it out and start over. As far as I know there is no other fix for a twisted round. Today I’ve set up short tutorial on how I join DPNs that help prevent twisting and makes joining less awkward. 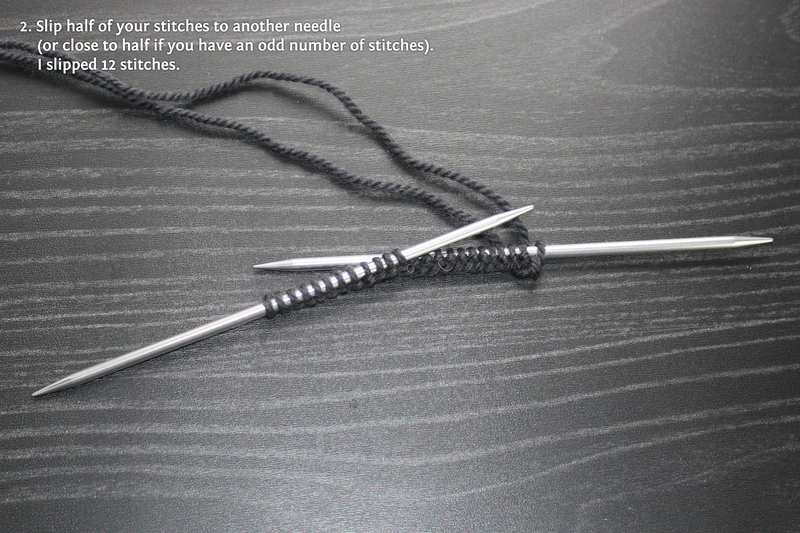 A lot of patterns tell you to cast on all the stitches and distribute them evenly across your 3 or 4 needles. Then somehow you’re supposed to take that crazy chaos and join them all without twisting. It took me awhile but I figured out a better way. Here’s how I do it. Here is a link to a pdf if you want to print this tutorial. And that’s it. Good luck and I hope you enjoy using DPNs as much as I do!